After testing 100s of recipes for the past 1 1/2 years for our forthcoming cookbook, we have narrowed down the Instant Pot cooking times for all sorts of recipes. Here is a rundown on how long to cook fresh and frozen chicken breasts in the Instant Pot. 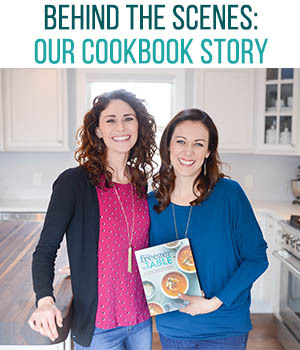 Make sure to sign up for our email list to receive updates about our forthcoming cookbook, From Freezer to Cooker! Fine tuning the perfect cooking times for chicken breasts in the Instant Pot was not easy. There is SO much misinformation out there. We found ourselves overcooking chicken breasts like it was our job. 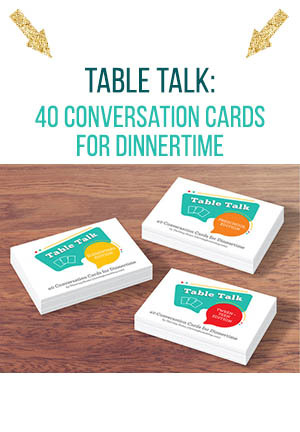 Using our meat thermometers as our guide, we were able to narrow down how long to cook chicken breasts in the Instant Pot and we’re excited to share with you our findings. 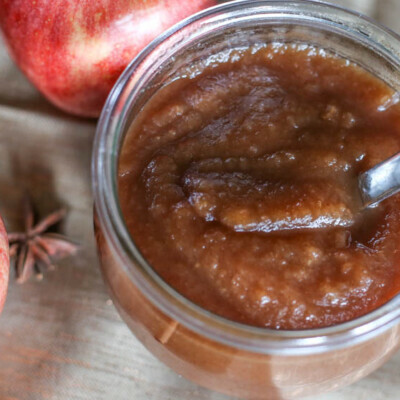 In order for the 6 quart Instant Pot to work, it needs a minimum of 1 cup of liquid. If you have an 8 quart Instant Pot, it needs at least 1 1/2 cups of liquid. Because chicken breast is so easy to overcook, we always use the quick release method. Quick release is when you turn the pressure release valve to “open” or “venting” (depending on IP model) at the completion of the cooking cycle. This forces the steam to release from the Instant Pot quickly. Do not stack chicken when cooking in the Instant Pot. It will cook unevenly. This is especially true for frozen chicken. Try to spread it out evenly along the bottom as much as you can. Use a meat thermometer like the one we recommend here to determine doneness. All poultry must cook to the safe temperature of 165°F internally (or no more pink inside). But, you don’t want to cook it longer than that and get dried out. If cooking chicken from frozen, make sure to read our post about how to prepare and cook freezer meals in the Instant Pot. Seriously, don’t skip it. 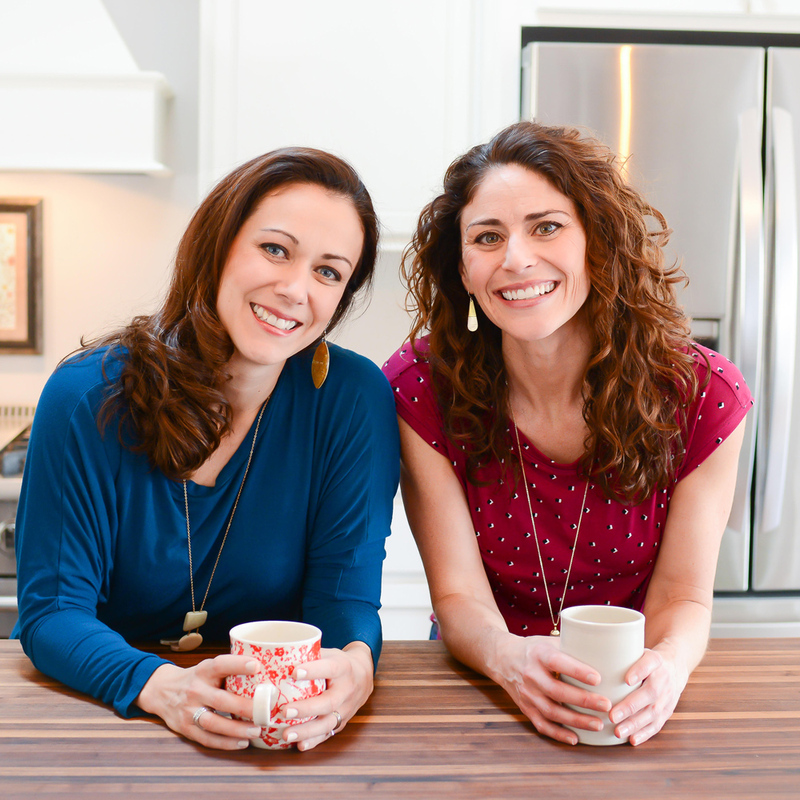 If you have more questions about the Instant Pot, swing by and browse Instant Pot 101. 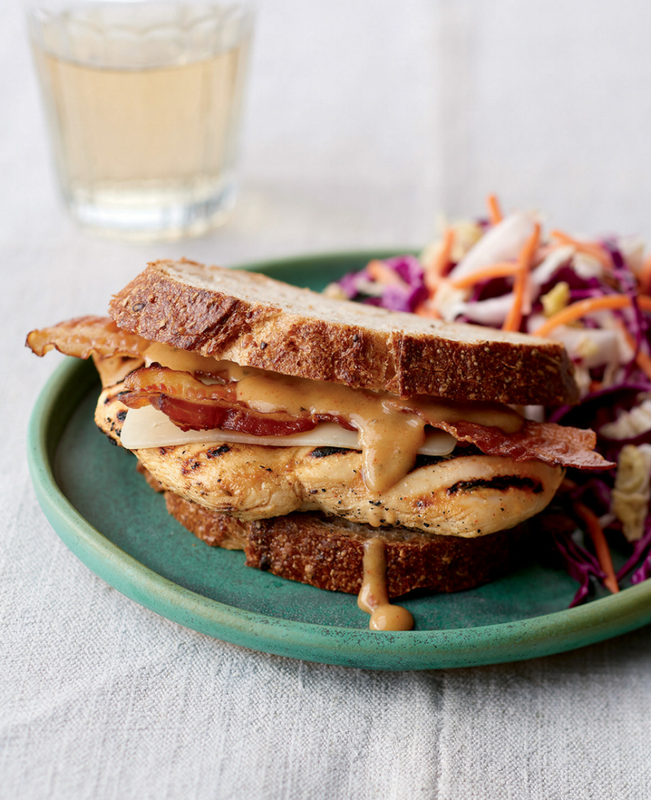 Cooking times are based on 1-2 pounds of medium-sized boneless, skinless chicken breasts. We found that chicken breast is at a safe cooking temperature (165°F) after about 7 minutes using a quick release method. We always use the manual function (as opposed to the poultry function). If the chicken breast is a bit on the larger size, add another minute or two. If it’s on the smaller size, subtract a minute. Place chicken and stock inside the Instant Pot. Lock and seal the lid. Freeze For Later: Place chicken and stock into gallon-sized freezer bag or round container. (Make sure to not stack the chicken.) Seal and freeze. 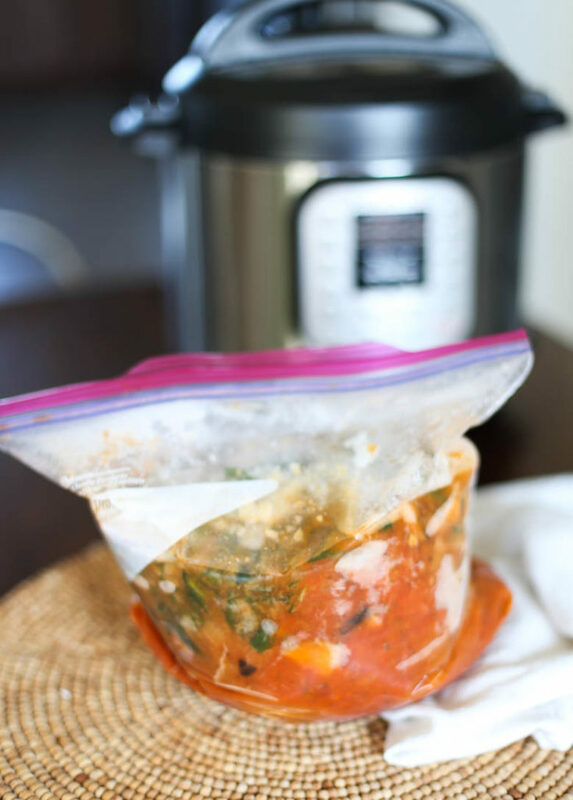 Tip: Set the freezer bag in a bowl in the freezer for a few hours to help it freeze in the shape of the Instant Pot. Prepare From Frozen: Turn on the Saute function. Saute the frozen chicken for 5 minutes to release some liquid. Press Cancel. Using the manual setting, cook for 15-20 minutes at high pressure with a quick release. 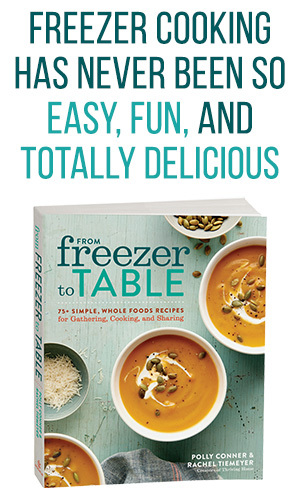 Cooking times are based on 1-2 pounds of frozen medium-sized boneless, skinless chicken breasts. 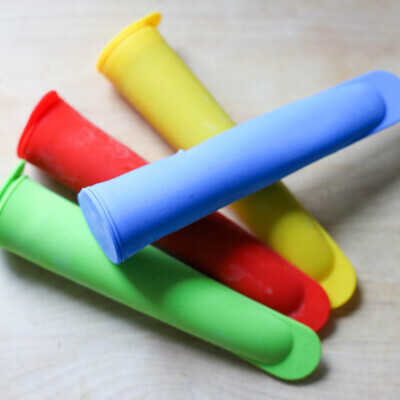 We found frozen chicken breasts are at a safe cooking temperature (165°F) at 15-20 minutes using a quick release method. We always use the manual function (as opposed to the poultry function). 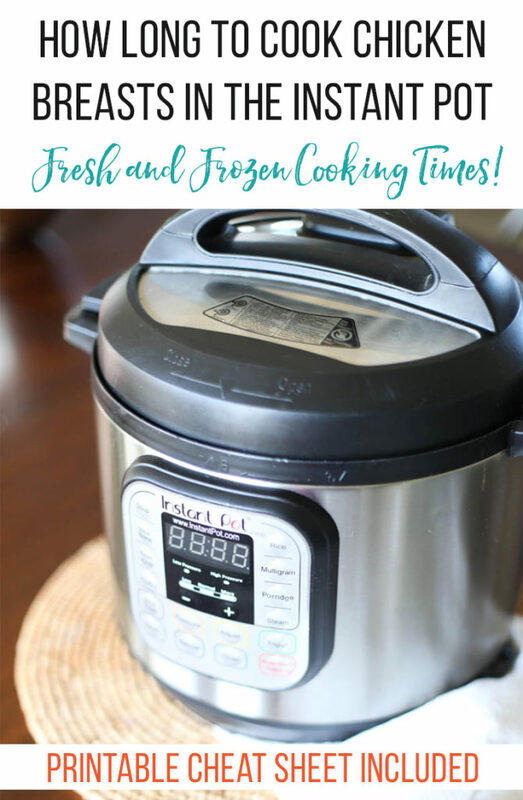 When cooking food from frozen in the Instant Pot, we recommend starting at the shorter end of the time range and then adding more minutes if it’s not done. The only variation to this cooking time is when chicken is in a soup. We found that because it takes so much longer for the Instant Pot to come to pressure, the chicken takes LESS time to cook. Likely 5-6 minutes. It feels a bit counter intuitive since there is more in the pot when cooking a soup recipe but we consistently found that chicken was done quicker this way. 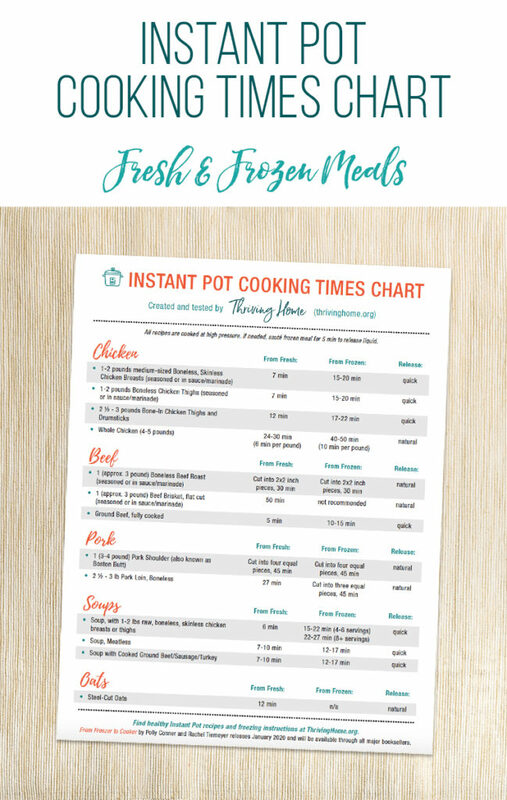 If you’d like a handy, printable chart of other cooking times for the Instant Pot, we’ve got you covered. 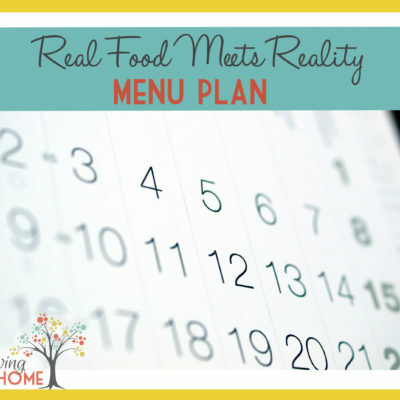 Need some recipe ideas to get you started? 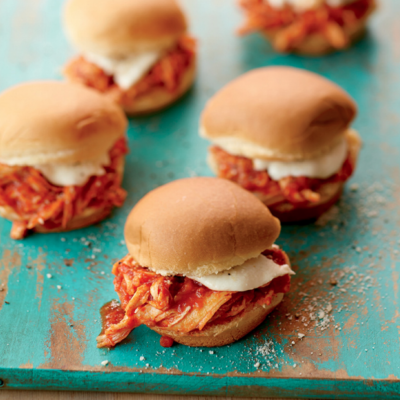 Swing by and check out our Instant Pot recipes in our recipe index. 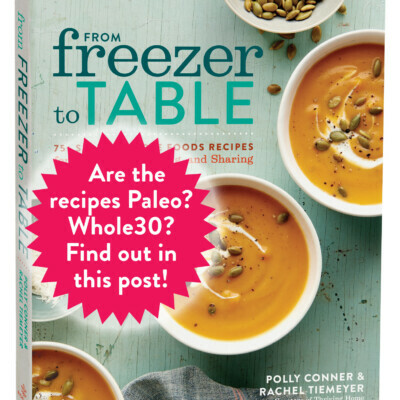 Is "From Freezer to Table" Paleo and Whole30 Compliant?